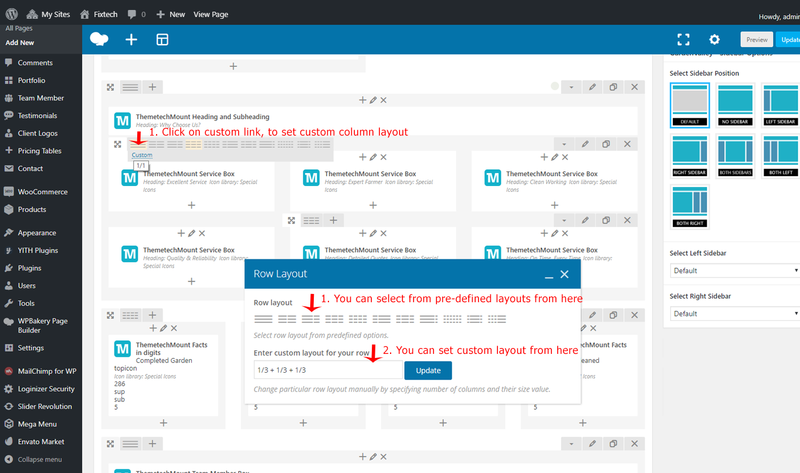 Here we described all the different areas and what it's called in our theme so you can find right option in Theme Options section. 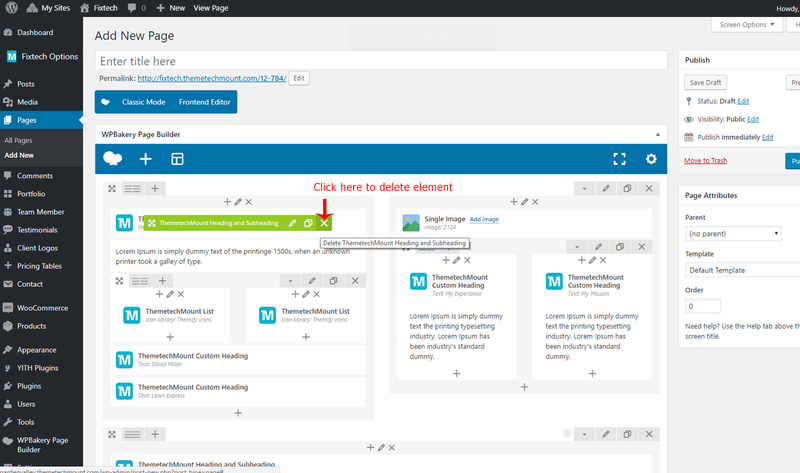 As Demo Content setup is complete on your site, we now discuss how to create / modify pages on your site. Fixtech themes comes with Visual Composer plugin, so creating / editing pages is very easy with Visual Composer page builder. We'd recommend you to read Visual Composer documentation online by clicking here. This will help you understand Visual Composer functionality easily. 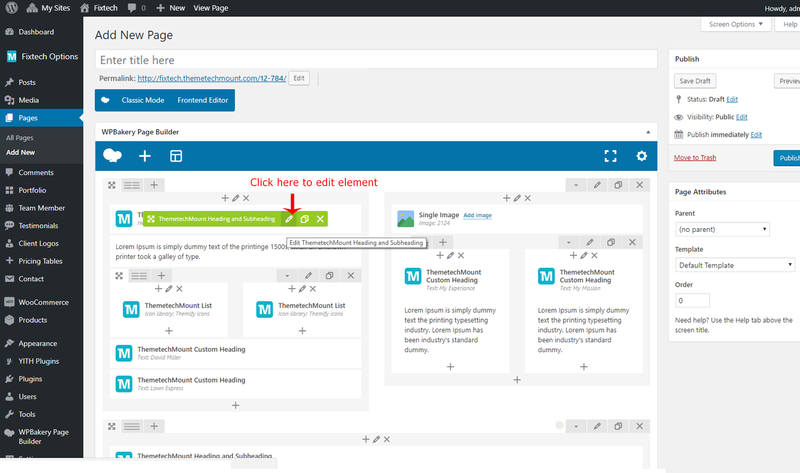 You can create new page on your site from Admin > Pages section. You can start creating any layout of your choice with Visual Composer page builder. 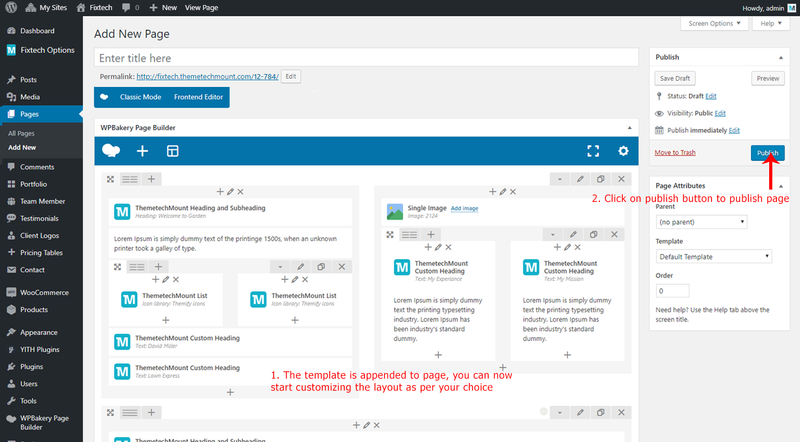 Also we are providing some predefined Page Templates to get exact look as some of our pages shown on our demo site. We will discuss more on this below at Visual Composer Templates. 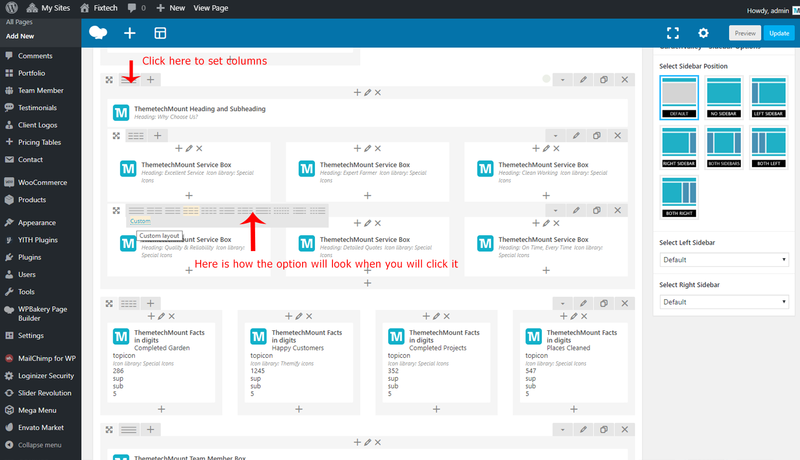 Create a new page on your site from Admin > Pages section. Fixtech theme adds some extra option to the Row element of Visual Composer to enhance the functionality of VC Row. We will discuss them below. Here are some very good documentaion videos showing detailed option of Visual Composer Row and Columns. Watch them at this link. 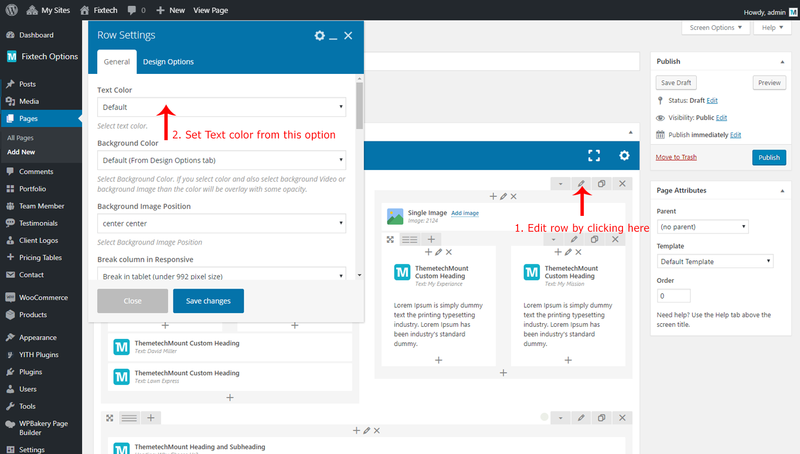 You can set Background Color for the Row from this option. There are Five options to choose from (Background Color & Image set in "Design Options" tab (default), Dark Grey Color, Grey Color, White Color and Skin Color). Break columns in Tablet mode (<996 screen size). This is useful if your content breaks (or not fit) due to columns in tablet mode. “Columns“ are part of the row and they hold your content elements inside them. Columns can be reordered. Click and drag column around (horizontal axis). That way you can group elements in logical groups and then drag them around with your mouse (to re-position). Fixtech theme adds some extra option to the Columns element of Visual Composer to enhance the functionality of VC Column. We will discuss them below. 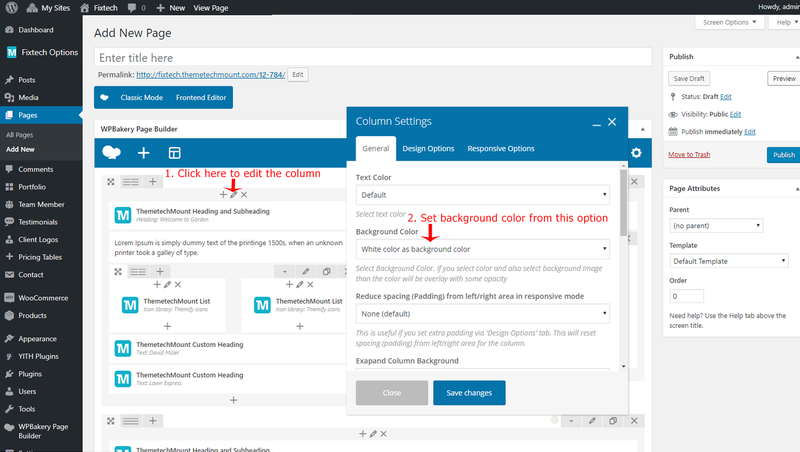 You can set Background Color for the Column from this option. 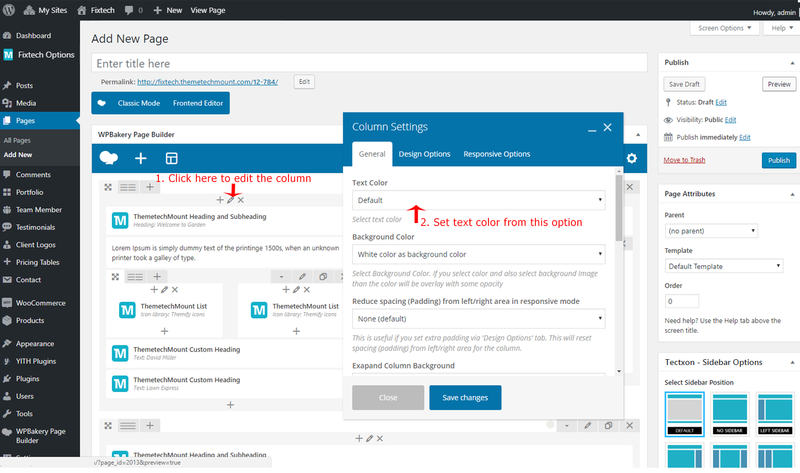 There are Five options to choose from (Background Color & Image set in "Design Options" tab (default), Dark Grey Color, Grey Color, White Color and Skin Color). 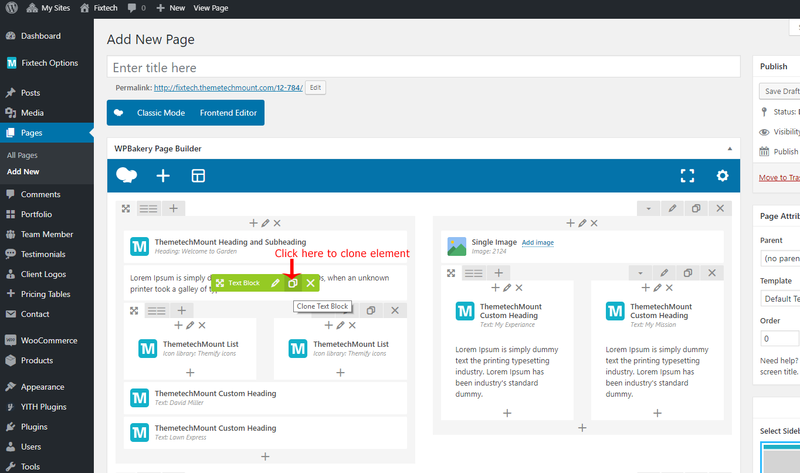 Edit / Clone / Delete Visual Composer elements is very easy. Just hover over the element you like to edit and you will see buttons to (Edit, Clone and Delete) it. 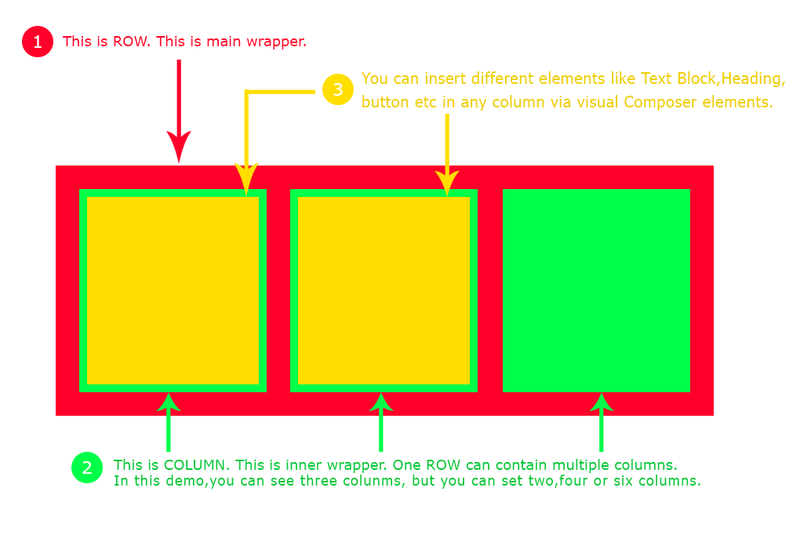 This is basic information about the Visual Composer. Now you can try it yourself and create some page yourself. If you like to learn more about Visual Composer than plesae click here and read their official document.